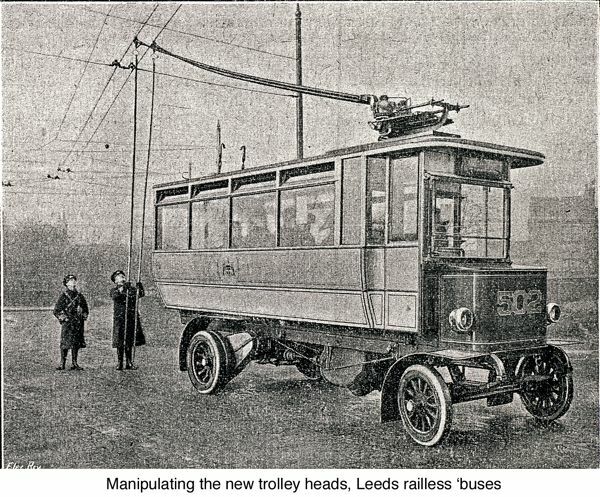 In a Yorkshire Evening Post article that appeared on the 23rd June 2007, columnist John Thorpe described the inauguration of Leeds’ new trolleybus system that took place on the 20th June 1911. The first bus was driven from Thirsk Row (off Wellington Street) to Farnley by Lord Mayor William Middlebrook. The second bus was driven by Deputy Lord Mayor Frederick James Kitson, the grandson of James Kitson, the founder of the Airedale Foundry. Farnley is four miles away from the city centre, and the round trip took 45 minutes. 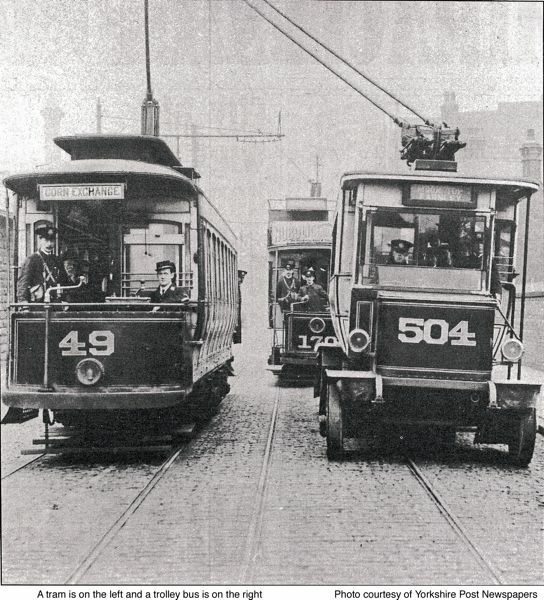 The photo below appeared in The Electrical Review published on March 29, 1912, and shows a conductor using a trolley-pole to manipulate the trolley heads. According to the Electrical Review, Leeds had just one trolleybus route at that time which ran from City Square to Moor Top, via Lower Wortley and Farnley., There were four trolleybuses in operation, and they were run by Leeds Tramways. The buses were manufactured by the Railless Electric Traction Company and were powered by Siemens engines. Later on, two additional routes were added, between Guiseley and Otley, and Guiseley and Burley-in-Wharfedale. 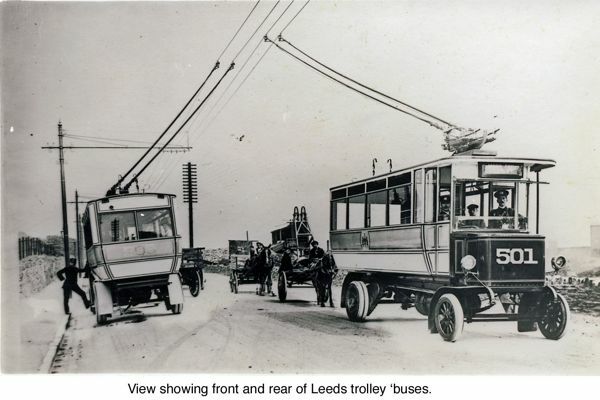 Leeds got rid of its trolleybuses in 1928.